THANK YOU FOR CREATING SUCH A FABULOUS CHALLENGE SITE. Aqua is the colour chosen for this weeks's card at Less is More. Sorry about the pic, everyone is having the same problems, during this time of the year, most of the card can be seen in the poor light. 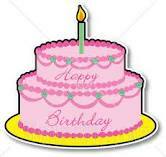 I first used a La Blanche small flower, embossed it using clear E.P. 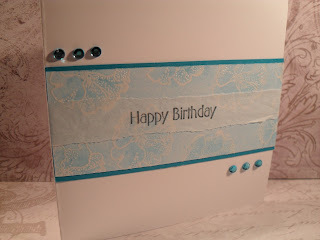 I then rubbed a Colour Box Aqua pigment ink pad, all over the piece of card. Rubbed off the excess, to clean the embossed areas. Carefully with the point of the Colour Box eye, added another layer of ink inside the flowers. 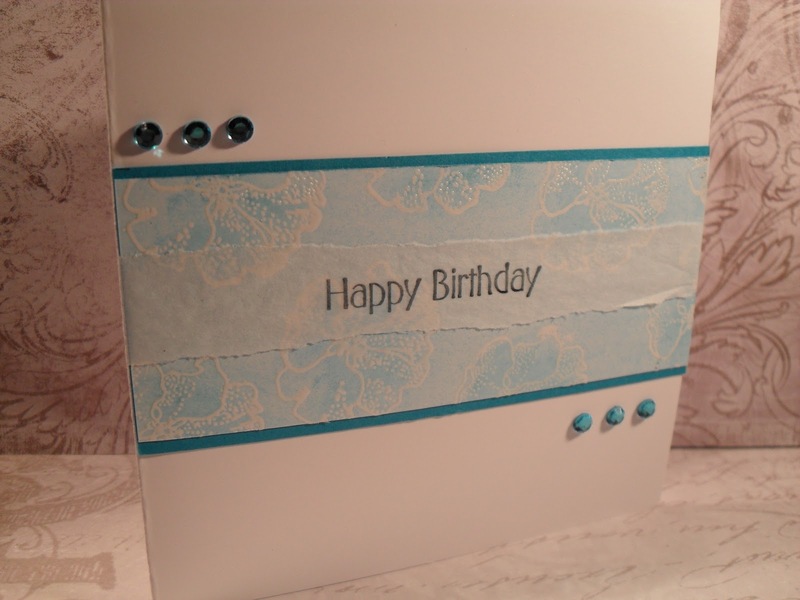 Matted onto a sheet of Aqua card, tore a piece of tissue paper, stamped a greeting. Secured at the back. Added a few Aqua gems. Here is to the next year ladies, and continued success. Your decorated strip is fabulous Cazro! Lovely card Caz, your 'fat page' was beautiful as well.